Keywords: Knee osteoarthritis, Diagnostic protocol, Musculo-postural feature, Risk of KOA, Progression of KOA. Background: In several parts of the globe, knee osteoarthritis (KOA) occurs as a painful chronic disease. The aim of the study was to determine the risk factors for musculo-postural abnormalities by detecting abnormal anatomical leg parameters caused by knee-osteoarthritis (KOA). Methods: Baseline data were collected and evaluated from 207 patients aged between 40-65 years (58.94% females) with KOA and an equal number of subjects without-KOA. Anatomical measurements included the gap at the knee between the short head of the biceps femoris and the level of the bed (KGB), diameter of muscles at the thigh (DTM), the calf (DCM) and 4cm above and below the patella (DAP and DBP) and flexion supine, prone and standing (KFS, KFP and KFSt) and extension supine, prone and standing (KES, KEP and KESt) in different postural positions for both legs of both groups using appropriate instruments and Body Mass Index (BMI). The study was also correlated with radiological images. Results: Risk factors for KOA based on abnormal leg anatomical-features were observed with statistical significance (P<0.001) and R2 (97-100%). The present results were evaluated after analyses of anatomical and flexion and extension range of motion measurements in different postural positions for both legs with KOA along with radiological features. The BMI of the experimental group was higher than that of the control group with high statistical significance (P<0.001). Conclusions: Abnormal muscle morphology and musculo-postural-features of the legs may be a suitable diagnostic protocol for the detection of early progression and risk of KOA. 1. Felson DT. Osteoarthritis of the Knee. New Engl. J. Med. 2006;354:841-848. 2. Cross M, Smith E, Hoy D, Nolte S, Ackerman I, Fransen M, et al. The global burden of hip and knee osteoarthritis: estimates from the global burden of disease 2010 study. Ann. Rheum. Dis. 2014;73:1323-1330. 3. Li H, Zeng C, Wei J, Yang T, Gao S-G, Li Y-S , et al. Serum calcium concentration is inversely associated with radiographic knee osteoarthritis A cross-sectional study. Medicine. 2016;95(6):e2838. DOI: 10.1097/MD.0000000000002838. 4. Felson DT, Anderson JJ, Naimark A, Walker AM, Meenan RF. Obesity and knee osteoarthritis: The Framingham study. Ann. Intern. Med. 1988;109:18-24. 5. Felson DT, Lawrence RC, Dieppe PA, Hirsch R, Helmick CG, Jordan JM, et al. Osteoarthritis: new insights. Part 1: the disease and its risk factors. Ann. Intern. Med. 2000;133:635-646. 6. Halverson PB, McCarty DJ, Patterns of radiographic abnormalities associated with basic calcium phosphate and calcium pyrophosphate dihydrate crystal deposition in the knee. Ann. Rheum. Dis. 1986; 45:603-605. 7. Mitrovic DR, Stankovic A, Iriarte-Borda O, Uzan M, Quintero M, Miravet L, et al. The prevalence of chondrocalcinosis in the human knee joint. An autopsy survey. J. Rheumatol. 1988;15:633-641. 8. Abreu M, Johnson K, Chung CB, De Lima Jr JE, Trudell D, Terkeltaub R, et al. Calcification in calcium pyrophosphate dihydrate (CPPD) cristalline deposits in the knee: anatomic, radiographic, MR imaging, and histologic study in cadavers. Skeletal Radiol. 2004;33:392-398. 9. Fuerst M, Niggemeyer O, Lammers L, Schäfer F, Lohmann C, Rüther W. Articular cartilage mineralization in osteoarthritis of the hip. BMC Musculoskeletal Disorders 2009;10:166 (doi:10.1186/1471-2474-10-166). 10. Derfus BA, Kurian JB, Butler JJ, Daft LJ, Carrera GF, Ryan LM, et al. The high prevalence of pathologic calcium crystals in pre-operative knees. J. Rheumatol. 2002;29:570-574. 11. Lawrence RC, Helmick CG, Arnett FC, Deyo RA, Felson DT, Giannini EH, et al. Estimates of the prevalence of arthritis and selected musculoskeletal disorders in the United States. Arthritis Rheu. 1998; 41:778-799. 12. Woolf AD, Pfleger B, Burden of major musculoskeletal conditions. Bull. World Health Organ. 2003;81:646-656. 13. National Institute of Health, Osteoarthritis. National Institute of Arthritis and Musculoskeletal and Skin Diseases. April, NIH Publication No. 15-4617 2015 (http://www.niams.nih.gov/health_info/Osteoarthritis/). 14. 14. Ganguly A. Degenerative changes in lumbar region always lead to bilateral degenerative changes in knee-joints and vice-versa: Sensation of pain cannot only be the parameter of degeneration. Anat. Physol, 2015a;S4-005 (doi:10/41722161-0940.S4-005). 15. Ganguly A. Degenerative changes in lumbar-region occur simultaneously with bilateral-osteoarthritic changes in knee-joints and vice versa: Normalization with topical application of phytoconstiuents by specialized techniques involving possible cartilage-regeneration, Int. J. Recent Sci. Res. 2015b;6:6331-6346. 16. Altman RD. Bone, joint and muscle disorders/joint disorders. Merck Sharp and Dohme Corp., a subsidiary of Merck & Co., Inc., Kenilworth, NJ, USA 2016. Accessed from: http://www.merckmanuals.com/home/bone,-joint,-and-muscle-disorders/jointdisorders/osteo- arthritis-oa). 17. Steultjens MPM, Dekker J, van Baar ME, Oostendorp RAB, Bijlsma JWJ. Range of joint motion and disability in patients with osteoarthritis of the knee or hip. Rheumatology (Oxford) 2000;39:955-961. 18. Holla JFM, Steultjens MPM, van der Leeden M, Roorda LD, Bierma-Zeinstra SMA, den Broeder A.A. et al. Determinants of range of joint motion in patients with early symptomatic osteoarthritis of the hip and/or knee: an exploratory study in the CHECK cohort. Osteoarthr. Cartil. 2011;19:411-419. 19. Ganguly A. Diagnosis, Prevention & Phytotherapy for Osteoarthritic Disorders, (ISBN: 978-3-330-65274-3), Scholars Press Book 2017; pp:13,14,46-48. 20. American Academy of Orthopaedic Surgeons (AAOS). Joint motion: method of measuring and recording. 4th reprint 1965; E. & S. Livingstone Ltd., Edinburgh. 21. Bhatia D, Bejarano T, Novo M. Current interventions in the management of knee osteoarthritis. J. Pharm. Bioallied Sci. 2013;5:30-38. 22. Carvalho NA, Bittar ST, Pinto FR, Ferreira M, Sitta RR, Manual for guided home exercises for osteoarthritis of the knee. Clinics (Sao Paulo) 2010;65:775-780. 23. Liikavainio T, Lyytinen T, Tyrväinen E, Sipilä S, Arokoski JP. Physical function and properties of quadriceps femoris muscle in men with knee osteoarthritis. Arch. Phys. Med. Rehabil. 2008;89:2185-2194. 24. O’Reilly S, Jones A, Doherty M. Muscle weakness in osteoarthritis. Curr. Opin. Rheumatol. 1997;9: 259-262. 25. O’Reilly SC, Jones A, Muir KR, Doherty M. Quadriceps weakness in knee osteoarthritis: the effect on pain and disability. Ann. Rheum. Dis. 1998;57:588-594. 26. Hurley MV. The role of muscle weakness in the pathogenesis of osteoarthritis. Rheum. Dis. Clin. North Am. 1999;25:283-298. 27. Fitzgerald GK, Piva SR, Irrgang JJ, Bouzubar F, Starz TW. Quadriceps activation failure as a moderator of the relationship between quadriceps strength and physical function in individuals with knee osteoarthritis. Arthritis Rheum. 2004;51:40-48. 28. Lewek MD, Rudolph KS, Snyder-Mackler L. Quadriceps femoris muscle weakness and activation failure in patients with symptomatic knee osteoarthritis. J. Orthop. Res. 2004;22:110-115. 29. Mizner RL, Petterson SC, Stevens JE, Vandenborne K, Snyder-Mackler L. Early quadriceps strength loss after total knee arthroplasty: The contributions of muscle atrophy and failure of voluntary muscle activation. J. Bone Joint Surg. Am. 2005;87:1047-1053. 30. Tan J, Balci N, Sepici V, Gener FA. Isokinetic and isometric strength in osteoarthrosis of the knee: A comparative study with healthy women. Am. J. Phys. Med. Rehabil. 1995;74:364-369. 31. Fisher NM, Pendergast DR. Reduced muscle function in patients with osteoarthritis. Scand. J. Rehabil. Med. 1997;29:213-221. 32. Slemenda C, Brandt KD, Heilman DK, Mazzuka S, Braunstein EM, Katz BP, et al. Quadriceps weakness and osteoarthritis of the knee. Ann. Intern. Med. 1997;127:97-104. 33. Hortobagyi T, Garry J, Holbert D, Devita P. Aberrations in the control of quadriceps muscle force in patients with knee osteoarthritis. Arthritis Rheum. 2004;51:562-569. 34. Watkins MA, Riddle DL, Lamb RL, Personius WJ. Reliability of goniometric measurements and visual estimates of knee range of motion obtained in a clinical setting. Phys. Ther. 1991;71:90-96. 35. Brosseau L, Tousignant M, Budd J, Chatier N, Duciaume L, Plamondon S, et al. Intratester and intertester reliability and criterion validity of the parallelogram and universal goniometers for active knee flexion in healthy subjects. Physiother. Res. Int. 1997;2:150-166. 36. McAlindon TE, Cooper C, Kirwan JR, Dieppe PA. Determinants of disability in osteoarthritis of the knee. Ann. Rheum. Dis. 1993;52:258-262. 37.	van Baar ME, Dekker J, Lemmens JA, Oostendorp RA, Bijlsma JW. Pain and disability in patients with osteoarthritis of hip or knee: the relationship with articular, kinesiological, and psychological characteristics. J. Rheumatol. 1998;25:125-133. 38. Steultjens MP, Dekker J, van Baar ME, Oostendorp RA, Bijlsma JW. Muscle strength, pain and disability in patients with osteoarthritis. Clin. Rehabil. 2001;15:331-341. 39. Messier SP, Glasser JL, Ettinger Jr WH, Craven TE, Miller ME. Declines in strength and balance in older adults with chronic knee pain: a 30-month longitudinal observational study. Arthritis Rheum. 2002;47:141-148. 40. 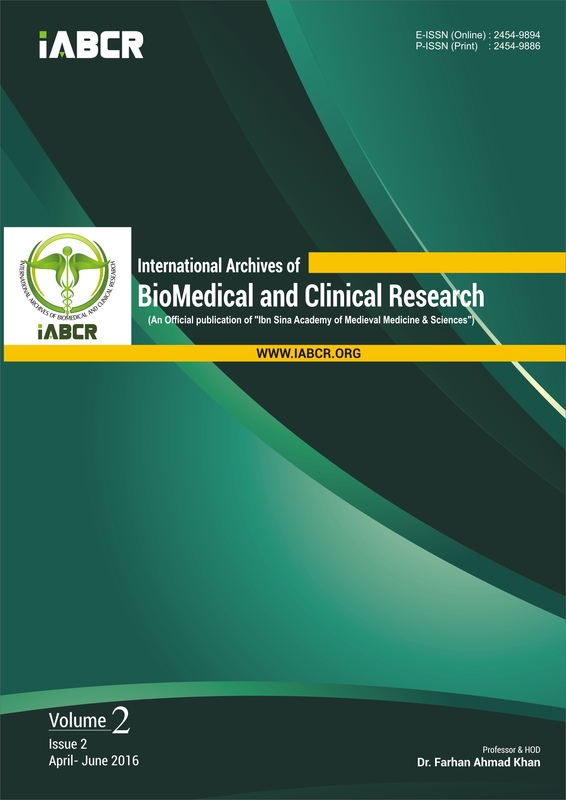 Garnero P, Piperno M, Gineyts E, Christgau S, Delmas PD, Vignon E. Cross sectional evaluation of biochemical markers of bone, cartilage, and synovial tissue metabolism in patients with knee osteoarthritis: relations with disease activity and joint damage. Ann. Rheum. Dis. 2001;60:619-626. 41. Oyeyemi AL. Body mass index, pain and function in individuals with knee osteoarthritis. Nigerian Med. J. 2013;54:230-235.